VEGAS! THE SHOW recreates the greatest moments in Vegas' history. It's the story of the most influential and exciting entertainers who made Vegas... Vegas! Why See VEGAS! The Show? VEGAS! THE SHOW recreates the greatest moments in Vegas' history. It's the story of the most influential and exciting entertainers who made Vegas... Vegas! Critics say VEGAS! THE SHOW is like all of the shows on the Strip rolled into one. This performance will take you back in time to experience true Las Vegas entertainment the way it was meant to be. You will relive the best moments of the most dynamic singers, dancers, and unforgettable personalities to ever step foot on the world-famous Strip. VEGAS! THE SHOW takes the stage at the new $34 million Saxe Theater conveniently located near the Planet Hollywood Towers inside of Miracle Mile Shops. Sound good to you? Share this page on social media and let your friends know about VEGAS! The Show at Saxe Theater. Please note: The term Saxe Theater and/or VEGAS! 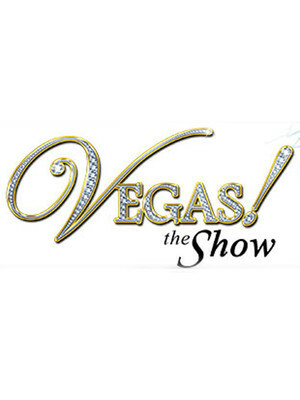 The Show as well as all associated graphics, logos, and/or other trademarks, tradenames or copyrights are the property of the Saxe Theater and/or VEGAS! The Show and are used herein for factual descriptive purposes only. We are in no way associated with or authorized by the Saxe Theater and/or VEGAS! The Show and neither that entity nor any of its affiliates have licensed or endorsed us to sell tickets, goods and or services in conjunction with their events.